Purchasing a bank owned home might not always seem like a good idea. Many bank owned homes or foreclosures are often sold “as is”, which mean involve a great deal of work and an additional investment to make repairs and/ or improvements, in addition to the sale price. Although, there are also a number of benefits to buying a bank owned home. Visit NewHouseMatch.com today to learn more about Bothell bank owned homes for sale. Bank owned homes in the greater Seattle area are homes that have gone through the foreclosure process and are back on the market to be sold. A foreclosure is a legal process that takes place when a previous owner defaults on scheduled mortgage payments with the lending institution. Through the foreclosure process, the bank essentially assumes ownership of the home and property in exchange. Most bank owned homes go back on the market to be sold, and some foreclosures go up for auction, which are often purchased by cash buyers, such as property investors and even developers. 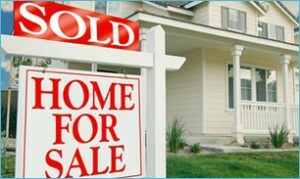 On the other hand, even the first-time home buyer can acquire financing and purchase the home. The process is relatively straightforward. However, the important thing to keep in mind during this process is the inspection. Buyers have the right to a thorough inspection before agreeing to move forward with the sale. This allows buyers a chance to walk away from the agreement if the property fails to meet their needs. To learn more about Bothell bank owned homes for sale, Bothell foreclosure listings, homes for sale in Bothell, contact the team at New House Match now for a free consultation at (425)268-0347.